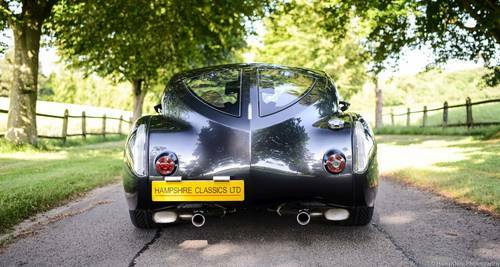 At Hampshire Classics we have 42 years’ experience of taking care of beautiful cars and, as a specialist storage facility, we look after a number of incredible vehicles. 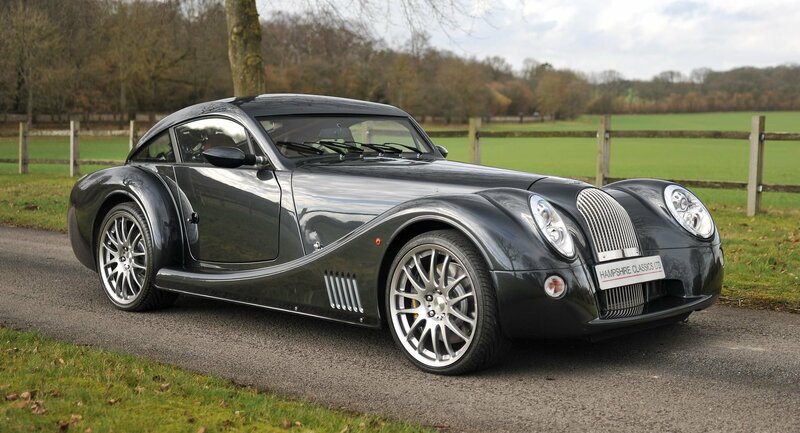 Occasionally, we are asked to sell some of these cars and this is how we are able to offer this immaculate 2009 Morgan Aeromax Coupe, which has covered only 79 miles, for sale on behalf of the owner. 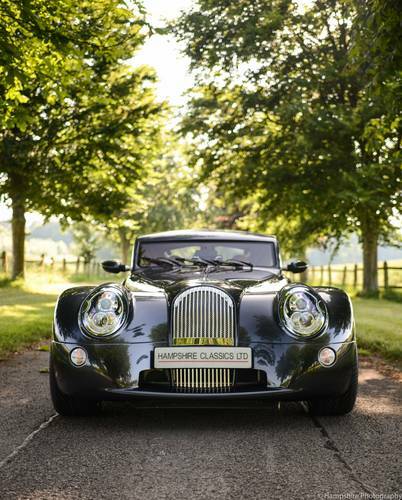 It is finished in Brno Tungsten paintwork with Muirhead Saddle Brown leather interior. 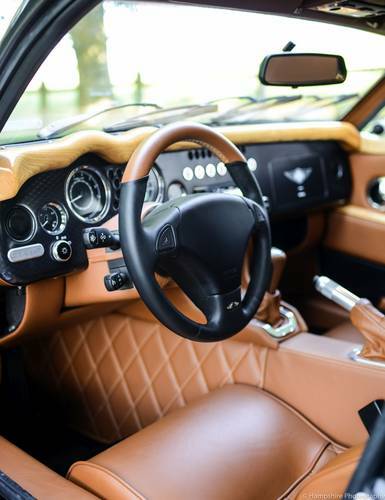 It also has Black carpets, Dark Grey dash and natural Ash wood trim. ~ Purchased in October 2009. 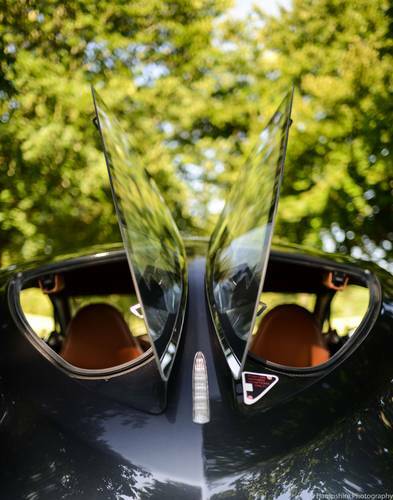 ~ Professionally stored throughout this time in its own Veloce Carcoon filtered airflow storage system. ~ Delivery & exercise mileage only. ~ One owner from new and part of a private collection. ~ Leather quilted stitch pattern on upholstery. Stitch colour to match wood. 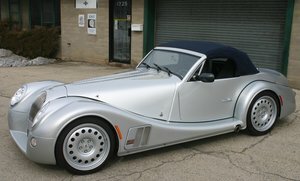 ~ Leather Aeromax top-trimmed steering wheel, column cover and gearknob. ~ 4.8 BMW V8 engine. ~ Aeromax photographic build book in presentation box. ~ Radical and distinctive boat tail rear. 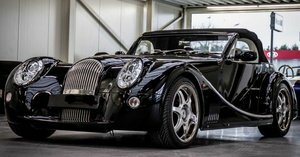 The hard-top grand touring version of the Aero 8 roadster was originally a one-off for Prince Eric Sturdza, president of the Swiss branch of Barings Bank and a major Morgan fan. 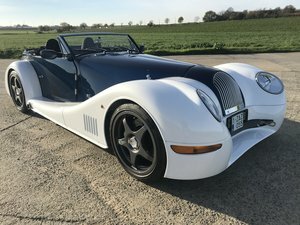 He wanted a high-performance two-seater with decent luggage capacity and continent-crossing ability and this is what Morgan gave him, complete with gullwing boot openings. 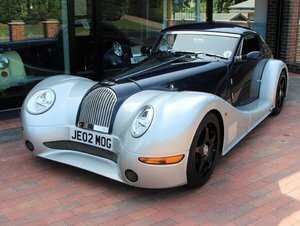 However, no sooner had the Aeromax concept been revealed in 2007 than everyone, it seemed, wanted to own one and, with the Prince’s blessing, Morgan built a strictly limited run of 100 examples between 2008 and 2009. 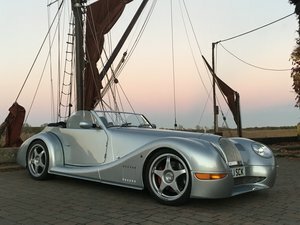 Rowan Atkinson, Paul O’Grady, Richard Hammond and Chris Vermeulen (Australian ex-MotoGP racer) have previously been owners of an Aeromax. 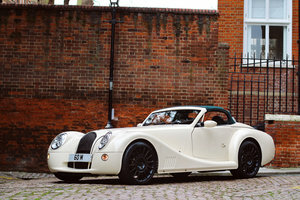 Please telephone if you would like to arrange a viewing appointment or for further information about this ‘as new’ car. 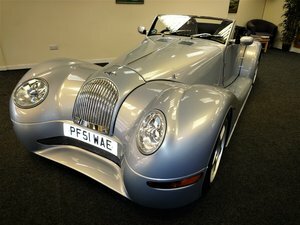 2003 MORGAN AERO 8 MKI 2.700.km NEW ! !